The JPB Environmental Health Fellowship Program was designed to promote a new generation of compassionate multidisciplinary academic and agency leaders, who are dedicated to finding solutions to complex social and environmental health problems. More about the Program. 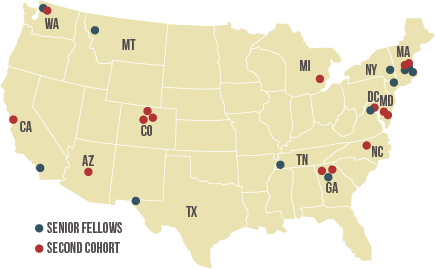 The diverse group of Fellows are academic and agency leaders who come from disciplines related to Social and Environmental Health. Throughout the program, the Fellows will enhance their skill set and will be better prepared to engage in community-based research addressing persistent and emerging social and environmental health challenges in the U.S.
Social Support During Pregnancy Modifies the Association Between Maternal Adverse Childhood Experiences and Infant Birth Size. Adverse childhood experiences (ACEs) can deleteriously affect health, including pregnancy and birth outcomes occurring later in life. Despite some progress, 30 million acres were lost last year, equating to the fourth-highest annual loss since 2001, a new report found. The JPB Environmental Health Fellows are engaged in research projects pertinent to the broader mission of the JPB Foundation to serve populations in vulnerable urban and rural communities across the U.S. Information on individual projects can be accessed under Current Projects. Links to recent publications can be accessed under Fellow Publications.